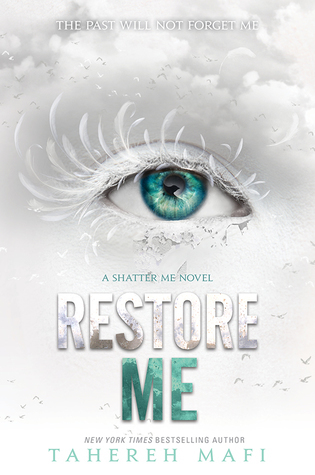 Book Review: Restore Me by Tahereh Mafi | A Book. A Thought. 19 March, 2018 19 March, 2018 / Sofii @ A Book. A Thought. OMG, I’m completely shocked by the end of this book. So many things happened, so many revelations, WOW is a very crazy journey and really difficult to process lol, probably not the best way to start a review but I can’t help it, I have alot of feelings inside me. I’ll try to put everything in order and write, without spoilers, something that makes sense. But in summary, I LOVED IT! Personally I have enjoyed it a lot, ALOT, maintains the same essence that the previous books, we have that Tahereh’s beautiful writing and also the super intense dialogues between characters, which I love. And on the other hand I think this book changes everything, it’s a before and after in the story of the characters, everything changes for them, their feelings, their thoughts, their lives, everything and this can get a little intense for the reader really. It was for me, I was like “OMG my life is a lie” lol. I love when a book has the power to shake me and leave me the way this one has left me, I feel super happy to have decided to read it and at the same time I’m destroyed because I’ll have to wait a lot for the next one and in the way that this book ends is too epic and intense, I really do’t know how to wait, I need to know what happened and what will happen like right now, I’m scared for my babies! The writing style doesn’t disappoint , is beautifully written and is very easy and quick to read, even when there are many super emotionally intense scenes, the writer handles it wonderfully, making it not at any time become heavy at all, I’ve really flown through it. Reading about my babies again made me very happy, I was dying to see them and know what would happen to them. Shatter Me is one of my favorite trilogies is not a secret, I have here of my favorite characters ever, so even when I was very excited and very curious to read Restore Me at the same time I was afraid, because you know, I didn’t want to that this trilogy that means so much to me be ruined in some way and thank God it wasn’t, so I’m very happy about that. The revelations in this book are huge, I feel that the whole book is based in revelations and there is not only one, there’s a million of them! It has been like an exploration of information and new characters. I really enjoyed the incorporation of these new characters, I feel they were necessary for the story and make everything much more exciting and in some way mysterious and dangerous as well. I think all this new information will create a great new trilogy , I have so many questions, so many things to think about, so many feelings that I still don’t understand, that was really a lot! I feel that if the writer continues on this path, many things will change and I’m very excited to see how she’ll do it. But really in spite of those little things, I loved the book, I think it’s the beginning of something very big, that ending was just WOW, I’ve said it thousands of times already lol. But I’m still in shock and I really don’t want to think about the worst but I don’t know, I’m scared guys! . I’m proud of my babes, whatever happens I’ll always be with them and I’ll love them and I hope they don’t break my heart. I can’t wait to have the next book in my hands. I skipped this review because I haven’t read the book yet but I’m so glad you loved it. 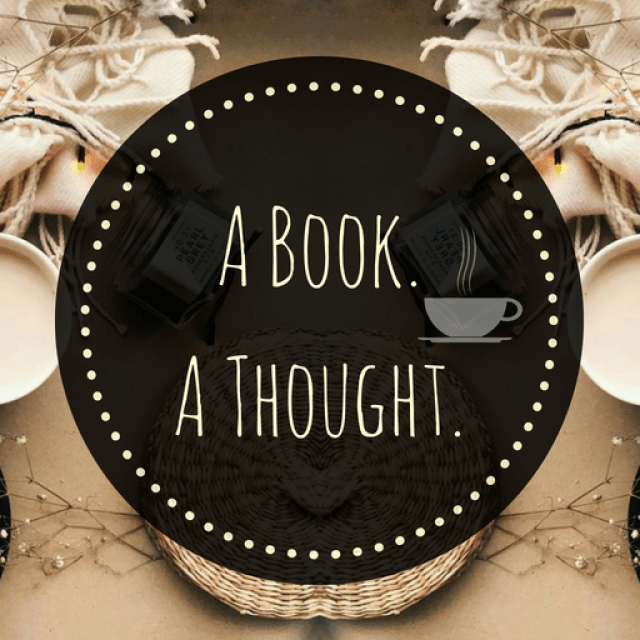 Pingback: March Wrap Up  | A Book. A Thought. Pingback: My Favorite Books of the Year so Far…😍 | A Book. A Thought.